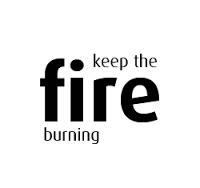 You must tend to a fire to keep it going. In California we had a fireplace in our little living room that we would use to warm the house during the few cold, damp winter months. I loved the warmth but I loved the ambiance that it created. I actually had a terrible time keeping it going though. My husband was fabulous at it. I would watch him carefully build it, pay attention to it, poke at it, feed it and adjust it until it was a blazing fire warming the whole house. There were days when he would get the fire started for me in the morning and then leave. I would gaze into the flames for a few minutes and then get engrossed in reading or writing. I would forget about the fire until I realized it was only a smoldering pile of half burnt wood. It gave me an appreciation of what “fanning the Flame” means. When God gives you a gift, it comes in a spark. A small light with great potential but will not grow unless it is fed, prodded, poked and paid attention to. Jesus gives it to you and expects YOU to fan it into a fire. He gives it but you grow it. The verse after “fan the flame” is “God has not given us a Spirit of fear”. God knows that fear is the number one reason we don’t grow our gifts, so he gives us something more powerful than fear: himself. Don’t focus on the fear, my friend. Focus on the Spirit of God within you and fan the flame of what Jesus has given to you. What has God sparked in you? What are you doing to grow it? Good questions to take to God in prayer. Thank you. I love love love love this!! I so desperately seek my gifts but maybe I’m just not fanning them. Praying that you will fan the flame God has put inside you to light up the world around you!